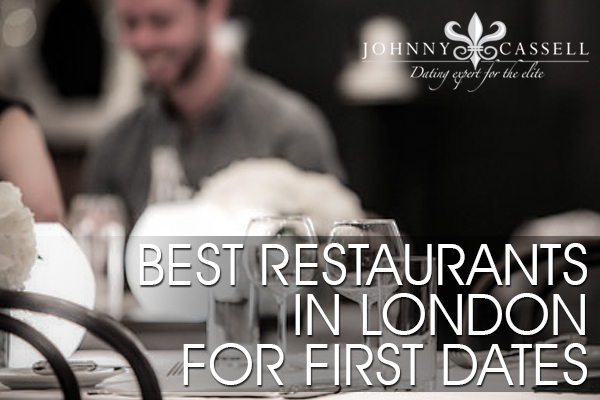 Lifestyle guru My J Young shares with us his expert opinions, insights and first hand experience into which are the 5 best restaurants in London for first dates. If you woke up searching for the best Mac ‘n’ Cheese in the city; you’ve found it. This is Jason Atherton’s second offering in London and like its big brother, Pollen Street Social, it has achieved the coveted Michelin Star after a mere five months of being open. If we start with the bar upstairs we’ll come across some of London’s best cocktails. These guys know exactly what they’re doing and there is usually plenty of table space to start your meal off with a carefully crafted apéritif; I recommend the Rye N’ Air. Downstairs is the main dining area and with its dim lighting and bare-brick walls its not surprising this moody little den treads the fine line between chic and shabby very well. The food is an homage to Britain with a smattering of the continent thrown in for good measure. A must try is the Cote de Porc; my personal favourite not because it tastes so good you might weep, or the fact it looks like an edible piece of art when it arrives, but because it goes sublimely well with the 2009 Monthelie from the expertly selected wine list. Argentine cuisine has been looking for an escape from the ‘steak prison’ for a few years now and I think Zoilo is the rock hammer to help it out. For those of us that thought eating at Argentine restaurants meant simply choosing between a Rib-Eye and a Sirloin then Zoilo is a great place to experience so, so much more. The easiest way to describe the food is sort of like a bigger version of tapas. If you turn up with four or more people then you can pretty much try everything on the menu and it is definitely worth it. The lamb rump is heavenly, as are the scallops with caramelised pork belly and who could resist a few empanadas? If none of this takes your fancy then of course you can order a steak so tasty it will make you see God. Wash this all down with a choice Malbec from the totally Argentine wine list and you’re laughing. This tiny, unassuming place in soho is rapidly becoming one of my favourite lunch spots. It doesn’t look like much from the outside but when you enter you’re thrust into a bustling little hubbub of diners and staff; all talking about the food. They put a new menu up every day so it’s hard to get attached to something here as it’s constantly changing. This is so they can use the best ingredients and most seasonal foods when choosing what to cook that day. It’s all about quality here. The winelist undergoes the same treatment and is kept simple but of a high and interesting calibre. All the wines are natural meaning they are biodynamic from small producers; definitely a few things you will not have tried before. If you’re looking for a relaxed environment to experience some really fresh and original cooking in the capital then look no further than Ducksoup. Hotdogs and Champagne; what’s not to love? Bubbledogs combines these two unlikely partners in a simple yet sharp setting in Fitzrovia. The dogs are fun and tasty (order two or three if you’re hungry) but the real focus here is the Champagne. They have some amazing lesser known fizz from tiny producers that don’t usually get a foot on the ladder in the competitive Champers market. This is one of the few places in London you can enjoy a great bottle of bubbles without feeling your wallet getting lighter at each sip. I had the Jacquesson Cuvée No. 735 Brut most recently; a rich, toasty Champagne that went great with my smoky ‘Fourth of July’ dog. This is a really chilled place, great for a casual bite and drink to start the evening off in style. Wow factors are a hard thing to come across. The moment when you actually realise you’ve done that incredibly predictable thing and lost your breath temporarily, just like your friends said you would. How unimaginative of you. Dining at Sushi Samba starts with a rocket fueled lift ride to the 39th floor where, if you’re scared of heights, it’s about now you start realising you should have worn brown trousers. Once out of the lift and into the main bar/restaurant area you will be forgiven for dropping your jaw momentarily as I’m sure your date will be doing the exact same thing. The food is modern Japanese with a South American twist so if you know the cuisine well; go nuts, it’s all great. If you don’t know you’re Sushi from your Sashimi then ask one of the waiters as they’re really happy to help. After dinner, sit outside and admire London with the Suntory Yamazaki 12yo, a great example of Japanese Whisky. This is THE place to impress and before you start complaining about how expensive it is, which it really isn’t, then try and have dinner on the top of London somewhere else. 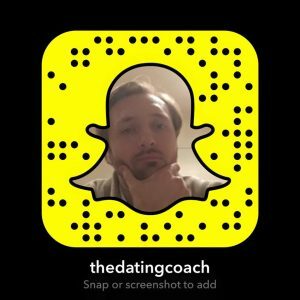 Find out about private & group dating training here!